Runs func in new thread, passing data as an arg. Returns Qtrue if klass is superclass of obj class. Raises excep­tion. fmt and args used like in printf. Raises Fatal exception, termin­ating process. No rescue blocks called, but ensure blocks will be called. fmt and args used like in printf. Terminates process immedi­ate­ly--no handlers of any sort called. fmt and args are interp­reted like printf. Call only if a fatal bug has been exposed. Raises a platfo­rm-­spe­cific exception corres­ponding to last known system error, with the given msg. Executes body with given args. If Standa­rdError exception raised, execute rescue with given rargs. Executes body with given args. Whether or not an exception is raised, execute ensure with given rargs after body has completed. Executes body with given args and returns nonzero in result if any exception raised. Raises NotImp­Error exception to indicate enclosed function is NYI, or not available on platform. Exits Ruby with given status. Raises SystemExit exception and calls registered exit functi­ons­/fi­nal­izers. Uncond­iti­onally issues warning message to standard error. fmt and args used like in printf. Condit­ionally issues a warning message to standard error if Ruby was invoked with the -w flag. fmt and args used like in printf. Returns new Array with default size. Returns new Array of given length. Returns new Array of given length and populated with remaining arguments. Returns new Array of given length and populated with C array values. Stores value at index in array self. Returns array self's element at index. Breaks out of enclosing iterator block. Invokes 'each' method of the given obj. Transfers execution to iterator block in the current context, passing arg as an argument. Multiple values may be passed in an array. Nonzero if yield would execute a block in current contex­t--that is, if a code block was passed to current method and is available to be called. Invokes method with args and block block. Yield from that method will invoke block with arg given to yield and second arg arg2. Returns element corres­ponding to key in self. Sets value for key to value in self. Returns self. Returns instance var name (must specify "­@" prefix) from given obj. Returns instance var name from given obj. Sets instance var name (must specify "­@" prefix) in given obj to value. Sets instance var name in obj to value. Sets global var name ("$" prefix optional) to value. Returns global var name ("$" prefix optional). Sets class var name in class to value. Returns class var name from given class. Qtrue if class var name has been defined for class. Sets class var name (must specify "­@@" prefix) in given class to value. Returns class var name (must specify a "­@@" prefix) from given class. Initia­lized with length chars from src. Initia­lized with null-t­erm­inated C string src.  Concat­enates length chars from src onto self. Concat­enates other onto String self. Returns array of String objects created by splitting self on delim. Cheatography is a collection of 3197 cheat sheets and quick references in 25 languages for everything from travel to linux!